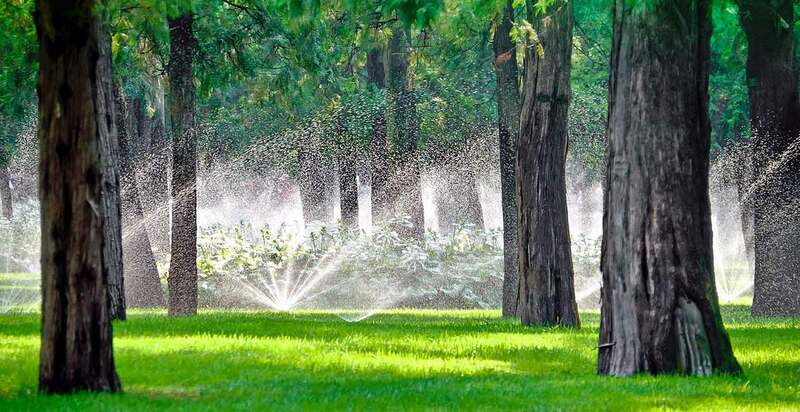 An efficient, well-maintained irrigation system can make all the difference when it comes to the health and beauty of your lawn, gardens, and overall landscaping. Making sure that your irrigation system is efficient can have a huge impact on your landscaping, as well as on your energy bills. In fact, with an efficient irrigation system, you can even expect to spend less money on water bills to keep your landscaping healthy throughout the year. So how can you keep your irrigation system running smoothly to make for healthier landscaping and energy efficiency? One crucial part of making sure your irrigation system is running as efficiently as possible is the thorough inspection. Be sure to inspect your system regularly to keep ahead of any issues. This will help you keep track of wear-and-tear that will affect any irrigation system, as well as needed repairs or adjustments from mishaps with dogs, missteps, or lawncare accidents. Identifying leaks and breaks in your system can be imperative to keep it running efficiently. Regular maintenance is key when it comes to keeping your system in good shape. When you identify problems early on through regular inspections, you can keep on top of maintenance to ensure the irrigation system is running smoothly. After all, when your system is well-maintained, it will be running at its most efficient. Keeping up on maintenance will also give you more opportunities to upgrade your system and keep up with the most efficient technology. Smart components or automated systems can be a great way to make your irrigation system more efficient. Just like any other aspect of your landscaping, the weather can play a big part. Seasonal weather, in particular, can cause problems with the pipes and valves in your irrigation system. Freezing through the winter can cause cracks or leaks in your system, so timing your maintenance after tough seasons can ensure your system is working efficiently. It’s also a good idea to adjust your settings to meet the needs of the season. For example, water less in the rainy season to avoid using too much water. Finally, a yearly audit is a great way to make sure your irrigation system is running as efficiently as possible. Each year, an irrigation audit can help you determine how efficient your system is and how you can improve it. With consistent upkeep and water conservation, you can be sure to keep your irrigation system running as efficiently as possible.